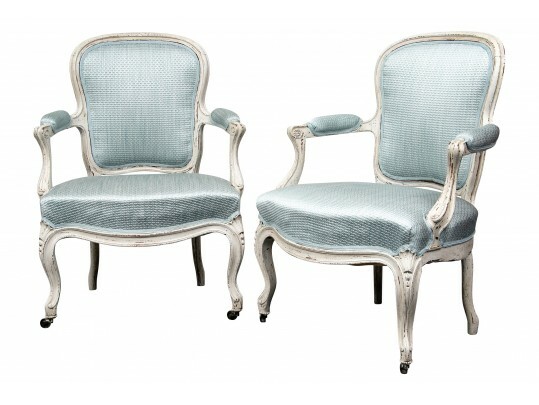 Carved wood french open armchairs havining rounded backs and carved open arms with scrolled detail upholstered in blue woven fabric and raised on carved legs decorated with shell and scroll detail raised on casters. Upholstery appears new and presents well, wood chairs have losses to paint. 25” x 21” x 34”h, 16” to seat.